“I love the way we want to play the game. We want to control the puck, play fast and make teams uncomfortable.” Alex Goligoski and the Dallas Stars put together a phenomenal regular season. Now, they’ve set their sights on a much bigger prize. They hold the Western Conference’s No. 1 seed, posted 50 wins and 109 points in 2015-16. The Central Division champs came into the playoffs holding a hot hand, winners of eight of their last 10 games. It’s all even sweeter considering that last year around this time, the Stars were sitting on the sidelines when the Stanley Cup chase started. While team confidence is high, so too is the understanding of what it will take to achieve their ultimate goal. 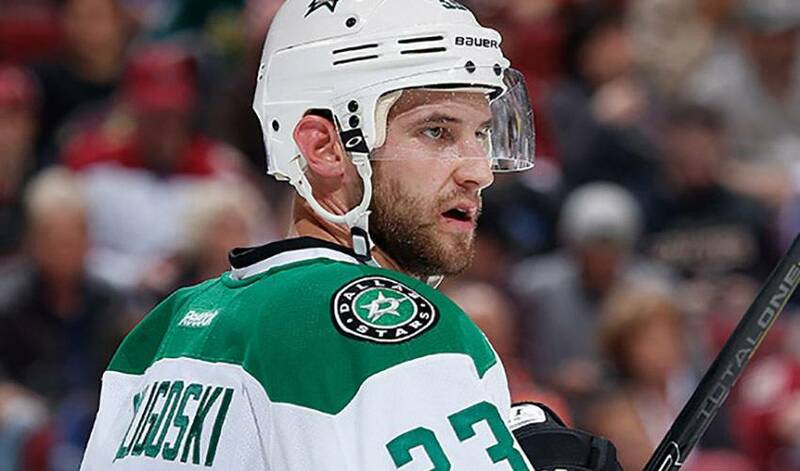 Utilizing the blueprint that resulted in ruling the roost in the West, Goligoski noted, is imperative. Goligoski, who has been with the Stars since a trade in early 2011, is playing some of the best hockey of his career. The Minnesota native played in all 82 regular season games, where he contributed 36 points and posted a career-best plus-21 rating. The 30-year-old, who has skated in 27 career post-season contests, is hoping it all adds up to a championship campaign.